After reading a post there Ozinaldo on Bimmerpost suggested that I also post this here. So, FWIW, here's a cut + paste with a few details on our cars. Most are probably aware of this stuff, but the second generation buyers may not be. One - the final concept, "formal" design and engineering of the 1M took place in only two weeks. It was spoken about loosely, informally and very quietly among the staff for a while. At the end of that time the head of "M" was away on a two-week trip and the staff put everything together, like kids doing something while the parents are out; they knew that they could not get approval for spending the time and effort. Upon his return he was showed a completed project. Since the development portion was essentially complete with no cost incurred, the car could be easily built by shoehorning it into the 128/135 production line during off hours, and the staff was so enthusiastic, the 1M was greenlighted. The staff basically pulled off a parlor trick and won. Second - there was only one prototype built. Due to the advance and virtually complete initial work (with existent and proven M3 parts) and the tight schedule, there was time and money to use only one car for assembly and testing. That's pretty amazing. Third - the test car was ... blue. But early on the staff realized the color didn't work. Hence the black, white and VO, as noted. Four - the staff was really under the gun on the entire project, for both money and time reasons. Five - they really like how their tuner project turned out. 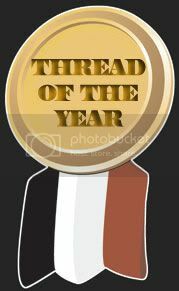 Thanks for the thread! And below is what Dackelone posted on the same subject in his bimmerpost thread; to clarify for those who are not aware of this other thread, this was from a recent visit to M Studios by some of our members. "...the head of "M" was away on a two-week trip and the staff put everything together, like kids doing something while the parents are out; they knew that they could not get approval for spending the time and effort..."
Then we got on a side topic about the last M project, the 1M Coupe. We learned some interesting things. The VO (valencia orange) color was a future color in the BMW pipeline. Dr Kay Segler liked it so much he insisted they make the 1M is that color. Then they knew they would have to offer a white and black color - bc every car looks good in those colors. He told us how they really wanted to offer different color stitching accents for each color - but they were tight on a budget plus they were really running out of time. So only one interior color was approved. Same went for some of the other "things" M wanted to do to the car. Like functional vents in the front fenders(the crease), they wanted to produce a carbon fiber roof, but they were running out of time. So in the end their hands were tied by time and budget. They told us how well the 1M sold given limited coior choice and being that the car was only offered in a manual transmision. The car sold far better than BMW ever thought it would. This confirms that there will be an M2 in time. It evidently really was like that. 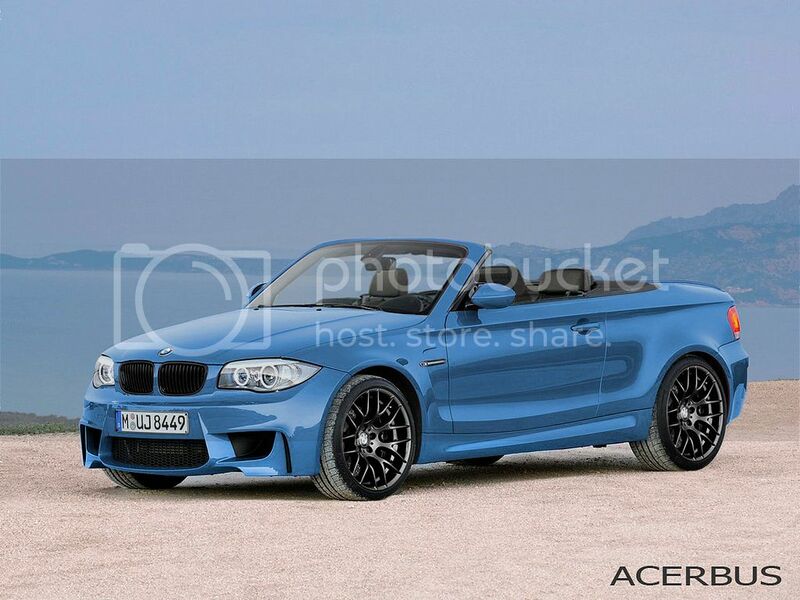 The M guys wanted to do an M version of the 1 Series. The staff were thinking + discussing design ideas, etc. that were analogous to the more structured M3/M5 product. They ran the ideas upstream but were told that it just couldn't be done logistically and financially. But they just continued on their own and came up with a "quick and dirty" approach (when compared to BMW's normal OCD style). They basically presented the project as a "we've got an answer to all your objections." With all of the general design and engineering work done, they were given the okay. The answer to "we have no line capacity" was to have it built during the few periods when the 1 Series line was not needed for ongoing production. M did the car for fun - they're just big car guys and this was kind of a "garage tuner" dream project. NO one thought it would be received the way it was, which is why the initial number was to be 2,500. Instead, they were concerned the 1M wouldn't sell even that many. "Actually, I wouldn't say that we didn't have it [the 1M] on the radar. I mean, there was this thing in the back running that we were thinking about. It really didn't get started till a few years back when our VP of engineering Albert Biermann was at a CCA festival and he got questioned pretty hard that night. And from that he came back from the CCA and brought the ideas back. And [with] a little push from the guys here in NA [BMW North America] as well, we got the ball rolling and started coming up with the first concepts. Actually, the first time we came up with the concept, it got shot down. But at that time [former ///M Boss] Dr. Segler was pretty persistent as we know him. Went back in and presented the case again. And we got the approval. And that's when everything started happening very-very quickly. We never developed a car so quickly as the 1-Series M Coupé. [...] I remember the day that Dr. Segler came to me and said «OK Brian [Brian Watts – Head of Marketing & Sales for BMW M], we got approval, what are we gonna do ?». And basically he gave me three days to come up with the whole marketing concept. So, as challenging as it is sometimes. But it was a great project. It's been an extreme success. We're so happy with it. I was at the ///M Festival this year  and also coming here [Laguna Seca - US] and everyone that I've talked to - there's not a disappointment in anyone's face." "The time window for this car [1M] [was] extremely tight and originally enthusiasm was not apparent until Dr. Kay Segler came to the M Division. 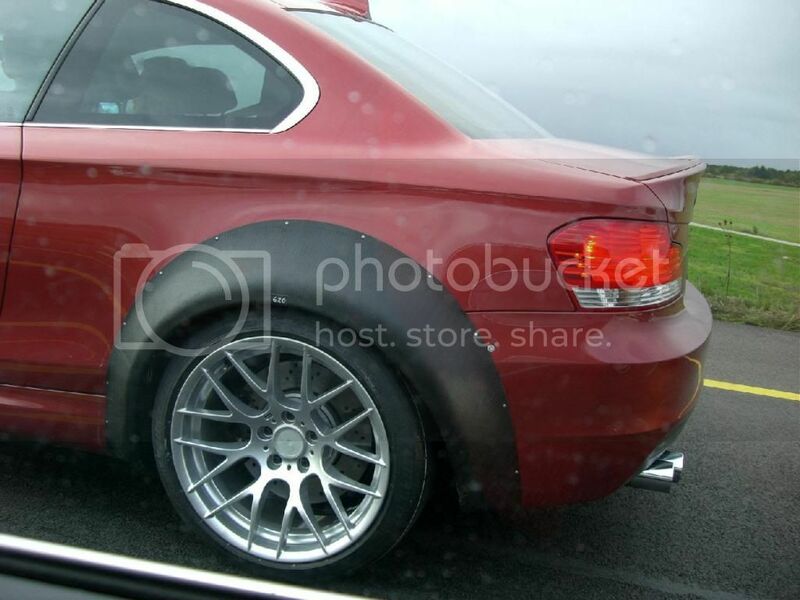 We had initially toyed with the idea of a 1M when we were conceiving the Coupe and did work with evaluation models then using the engine from the E46 and the upgraded E46 CSL engine but it proved to be too heavy for the car. Originally in the early days of marketing the standard 135i was originally meant to be an M model. The 1M that stands before you now  has had possibly the most progressive stage from thought-production turnaround for a BMW. There had to be a lot of arm-twisting in the BMW Board because of the tight window between generation 1 and generation 2 of the Coupe. The proposal was greenlighted when BMW decided to use the Coupe model for the BMW eDrive evaluation. Therefore slightly extending its life cycle. When I first saw the car it was in a design studio as a full scale clay-model but since then some designers ideas have to make way for aerodynamics and engineering. The initial engine proposal was the N55 but they were having issues that cannot be solved within the time window. BMW greenlighted this car in July 2009, now over a year later  we see it as it [is] intended, although testing still commences until the launch. Valvetronic was the main cause of the time delay but BMW have spent some time on this and are using the N55 as a basis for the next M3. The best way to describe the engine of the 1M is a "Hybrid" but in the original form of Hybrid, nothing to do with "alternatives", but it is not a straightforward transplant. There is a lot of this car that will carry over for the next generation 1M in which that car will switch to four cylinders to which the M Division engineers are already working on the basics without time constraints or restrictions. E82 1M is showing what is possible in a small time-frame. F22 1M will show what is possible once you do not have restrictions." The development time of the engine was very short – engineers took only about a year to build it if not less, beginning in October 2009. In December 2009 the decision was made to build the 1M. Dr. Segler championed the project and made all major decisions. Took around 1 year to develop and test the car. 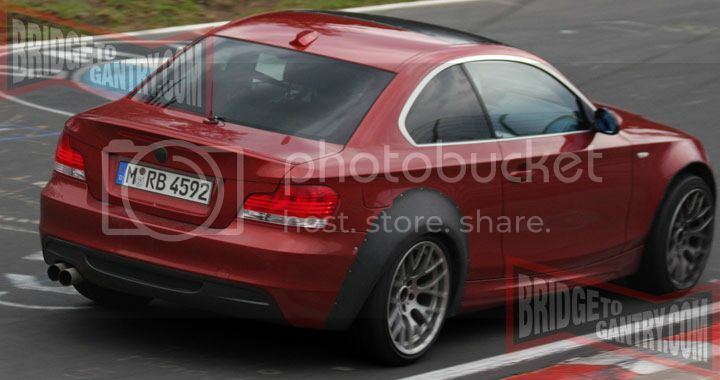 M cars utilize the Nurburgring circuit for extensive testing. All the testing needed to be completed in Spring and Summer  before bad weather starts. He said the engineers and designers worked very, very hard to complete the project. Dr. Segler was emotional and had a few tears the first time he saw the car in completed form. In a broken voice, he said, «we need to build this car». The 1M is powered by the N4 twin-turbocharged 3.0-liter I-6 engine. For the 1M, the turbocharger, exhaust system, and ECU have been revised to produce 335 horsepower and 332 pound-feet of torque, though up to 369 pound-feet are available temporarily in overboost mode. Redline is found at 7000 rpm." BMWBLOG: "How long is the design process to produce an M car?" Dr. Kay Segler: "It depends. We don't compromise therefore we come later than the base model as you see with the new M5, because we don't want to compromise. 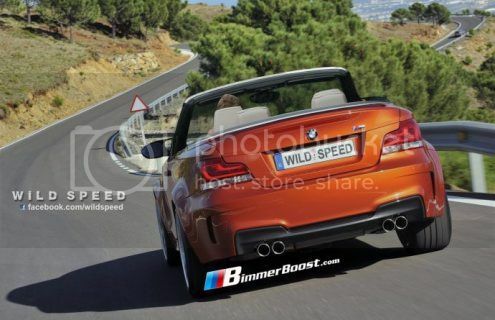 On the 1 series M coupe we were very, very fast – I mean tremendously fast! We took some risks but we managed it because we are a very small team, there is no hierarchy. Basically the principle idea was in June/July of last year  that we might do something like this and we will bring it out next spring . So great job by the team." "Over the past two days we've learned quite a lot about the 1M from Dr Kay Segler and BMW NA M Brand Manager Matthew Russell. For starters yes that is a Z4 35is N54B30TO (aka «N54HP») engine under the hood. While we had heard that there were various internal changes done by M, we can now confirm that there are no physical changes to the engine. As you heard in our interview with Matt Russell the Z4 35is has a N54 variant that was itself tweaked by the engineers at M. Specifically they have created two throttle maps (via the M button) and in turn created the most raucous N54 variant yet (based on how it sounded while revving at the show). From the lighter flywheel to the enhanced software and everything in between M went through the N54 thoroughly in creating the Z4 35is. Tolerances are tighter and the soul of the engine has been enhanced. Dr. Segler was adamant that M had taken the soul of this N54 and turned up several notches to create something that has a different character than the Z4 35is. Also interesting was Dr. Segler's comments on the development of the car. The time-frame that M had to work within was impacted by of all things the weather. The fact that most of the development took place at the 'Ring (an M tradition) meant that M only had from April to October of this year to engineer and then sort the car. But what you end up with is «Pure M» has Dr. Segler calls it. What does that mean? In a quantitative way it means the 1M can do four laps on the 'Ring generally unfazed (i.e. without much brake fade etc). The manual transmission has been something often overlooked when talking about the 1M. Yes the lack of DCT has been referenced constantly in forums and even was the NAIAS floor this week [January 2011]. But what about the actual 6-speed in the car ? We can now confirm that it is the same 6-speed found in the 135i with a E46 ZHP shift knob. The clutch however is the same item as in the 335is (due to needing to support the 369 ft-lbs of torque on overboost). Speaking of transplants one of the more interesting things we learned this week is that M not only transplanted the entire suspension and braking system but the sub-frame of the M3. It's easy to compare this car to a E30 or even an E46 M3. 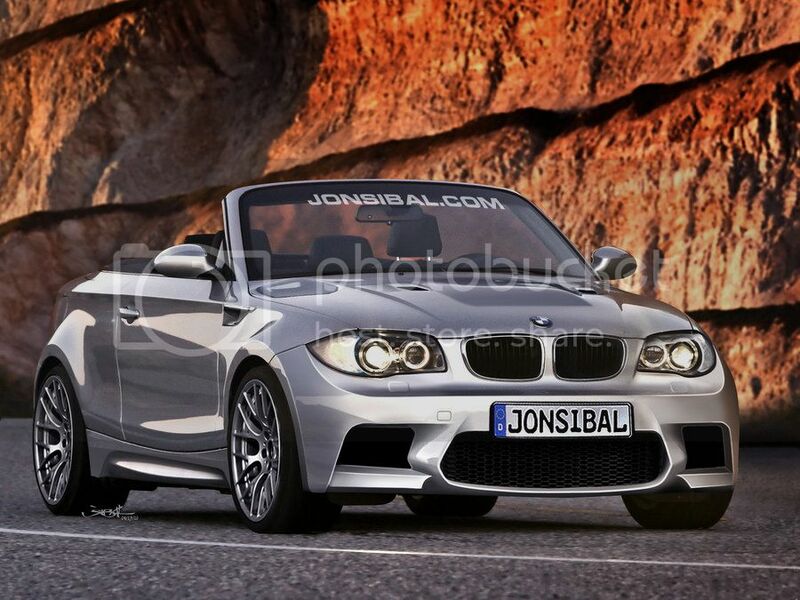 But the more you look at the components the more the 1M looks eerily similar to the E92 M3 on paper. Finally the question of brake ducts. Yes the pair giant holes in the front bumper are not brake ducts as you might expect. They are actually need to bring air to the oil and water coolers. But M hasn't forgotten about the brakes. Instead M has designed paths cleared under the chin to ensure plenty of fresh air reaches the brakes." "The purpose behind the M1 [1M] is to not concentrate on power solely but produce a car which is more entertaining and more thrilling to drive than cars that will probably cost twice as much or three times and so on. M1 [1M] is purely about driver focus and torque. Two elements that are going to make this a very exciting car. It's a car that is going to be full of characteristics. It is also going to be a car that will be realistically affordable. Such a concept will be successful in the largest M market, North America. It [is] also within BMW's drive to produce exciting cars on compact platforms. The recession told us that consumers were willing to downsize for the right product and we [have] seen that in the 1er. Although there is the trend for «downsizing» in the US it is down to gas prices which are driving US consumers to smaller compact models. However the added concern amongst everybody is if gas prices fall to normal levels then American consumers will go back to larger cars. 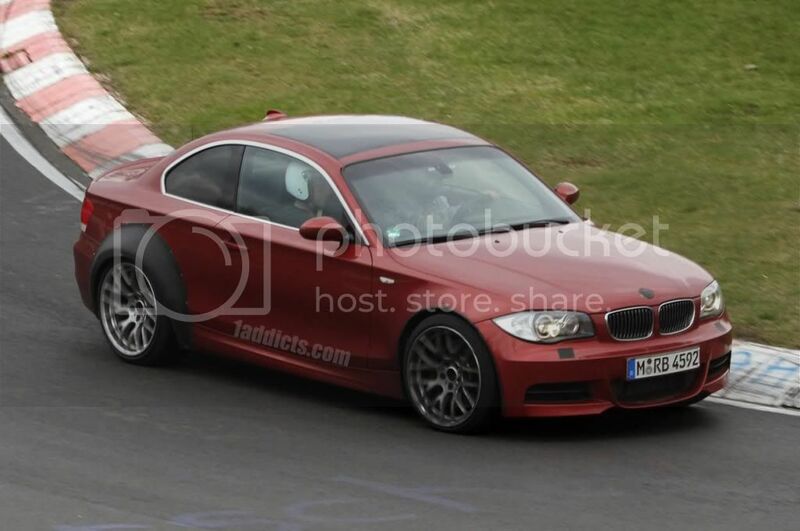 With the M3 overlooking the M1 [1M]'s shoulder it will be positioned not to outclass that car in terms of power. Which is why it will be in the mid three hundreds. If there is a car that will define M «The Next Chapter» for a new generation it will have to be the M1 [1M], it is really going to bring a lot of new customers to the BMW brand. It will be the equivalent of a must have laptop, TV, iPod, etc. An indulgement you just have to get." "Was at M studio this week [October 2011] as part of my ED and got to talk for to a lead engineer for quite a while. He clarified that these front fender areas that now suggest the vents, originally were meant to have real functional vents. They'd be even bigger than the ~2cm they are now. (Thus cutting them open in the shape they are now would apparently not provide much aerodynamic benefit, i.e. release significant wheel well air pressure). However they couldn't get the fender sheet stamping molds accurate enough within the allotted time/budget. Particularly the two fenders sides exactly mirroring each other in shape proved too hard to achieve with functional vents. Pity, but I do respect that they either do it right or not at all." "[T]hey were tight on a budget plus they were really running out of time. So only one interior color was approved. Same went for some of the other "things" M wanted to do to the car. Like functional vents in the front fenders (the crease), they wanted to produce a carbon fiber roof, but they were running out of time. So in the end their hands were tied by time and budget." "It was a plan of BMW to bring the 1M Coupe with halogen headlights and not with Xenonlights as standard equipment, because they wanted to reduce the price under the magic line of 50.000 Euro. So the nearly ready 1M with the halogen lights came to the acceptance test (TÜV) and failed. Why ? Because the parking lights of the halogen headlights where too much inwards (because of the wider fenders the 1M got compared to the stock E82) and so BMW had to put the Xenons in as standard equipment (the parking lights are more external because of the "angel eye design" [coronas]) and the price raised to 50.500 Euro (later 51.500 Euro) [Germany]." "Around the 1M development, the transmission was rated by the supplier up to 450Nm, and the engineering team then had to agree with supplier on tests that BMW M themselves would do to qualify up to 500Nm. It seems likely that transmission contributed to the reason why the peak torque is be limited in duration, i.e. boost period only." Expert dialogue: "Why is the BMW 1 Series M Coupé supplied with the Michelin Pilot Sport 2 ex works instead of the current successor product, the Michelin Pilot Super Sport?" BMW M Engineer J. Schwenker: "The successor to the excellent PS2 is the PS3. At the time of vehicle testing and homologation, the Michelin Pilot Super Sport was not yet available in this size." "[T]his is a limited production here in the States and that’s how we should treat it. We kept the volumes limited and keep the nostalgia up. This is one of those cars that will be a collector’s item in the future." - "We kept the colors pretty much limited. We did, you know, black, white and Valencia Orange. And pretty much that's how they've sold: a third, a third, a third." http://www.bimmerfile.com/2011/08/26...on/#more-14574 - http://www.bimmerfile.com/2011/08/21...les-for-bmw-m/ (in this interview he also pointed out the key importance of Dr. Kay Segler in securing the 1M project). Initial production volume was generally rumored to be 2700 units worldwide, though a South-African source quoted 2452 units (https://www.iol.co.za/motoring/road-...weight-1156742). Ultimately 6309 1M cars were built (1M polo shirt offer and http://m-power.com/_open/s/editorial...d=2869&lang=en). 740 1M cars were sold in the US (https://www.1addicts.com/forums/showthread.php?t=633799). "The 1M is basically a truncated M3 Competition Package with a manual". He added that the 1M does not need more power and that the production volume was kept low "to keep resale value as high as possible - creating an instant classic". "The M1 [1M] will not feature a V8 that remains exclusive to the M3. The engine is based on the updated N55 [read: N54] six cylinder but reconfigured by the M Division to accommodate Twin-Turbo and a high performance intercooler. PS Output is at 345PS again not to tread on the toes of the M3." 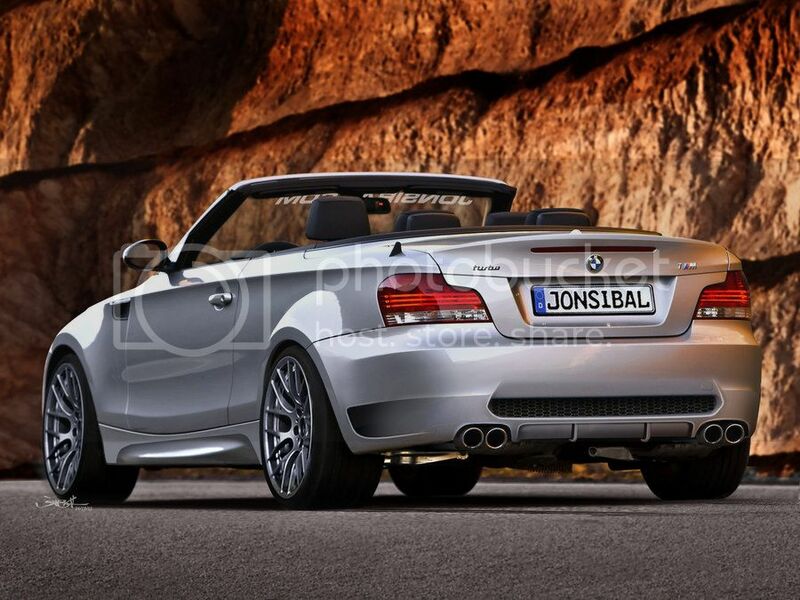 "With the M3 overlooking the M1 [1M]'s shoulder it will be positioned not to outclass that car in terms of power. Which is why it will be in the mid three hundreds [PS]." Valencia Orange is named after the Ricardo Tormo Circuit in Valencia (Spain) (Circuit de la Comunitat Valenciana Ricardo Tormo), where BMW hold their Young Talent Cup. Furthermore, on the shores of Valencia, the BMW Oracle Racing team won the 33rd America’s Cup. Ironically, the 1M was first presented to Dr. Segler in Valencia Orange and it was so good that the color made it to the production model. As a fun fact, we observed Dr. Segler was wearing a new Rolex Milgauss which had a black dial with orange second hand and dash marks. True love for the color scheme…"
"The VO (Valencia Orange) color was a future color in the BMW pipeline. Dr Kay Segler liked it so much he insisted they make the 1M in that color. Then they knew they would have to offer a white and black color - bc every car looks good in those colors. He told us how they really wanted to offer different color stitching accents for each color - but they were tight on a budget plus they were really running out of time. So only one interior color was approved. [...] They told us how well the 1M sold given limited color choice and being that the car was only offered in a manual transmission. The car sold far better than BMW ever thought it would. This confirms that there will be an M2 in time." 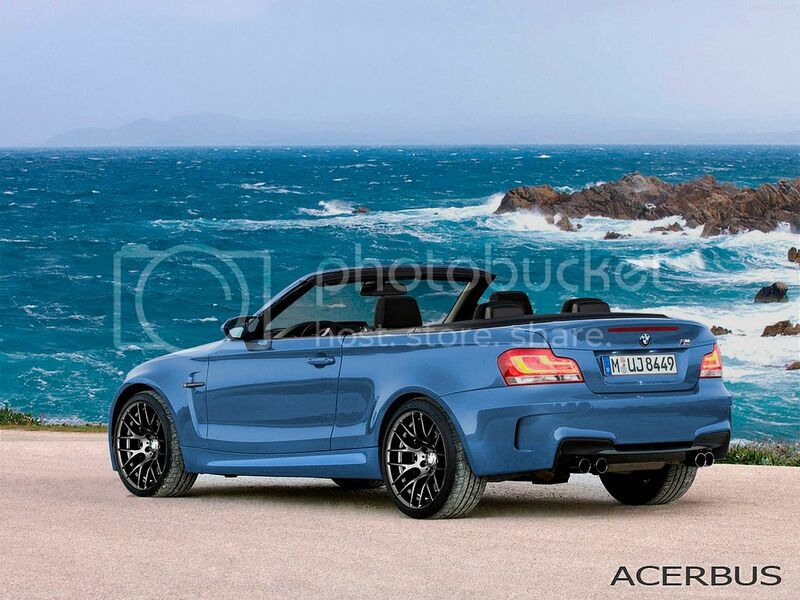 BMWBLOG: "I’m trying not to pry but it's tough! Can you tell us about a few design highlights of the 1M Coupe? Any details are welcome!" Dr. Kay Segler: "The one thing I can tell you is that we will reveal a color, and similar to the GTS color, it will not be forgotten. People in some years will recognize it. That's one detail." Scott26: "We are certainly in a much better position to propose an M2 Cabrio. They did make one for the 1er M Coupe but it never made production." "I don't think it is @ M [BMW M secret garage featuring rarities]. But at the other facility." The "Pyrat" code name lives on on parts stickers. See for example this sticker on a wheel housing part for the 1M (fender liners). Here are the three notorious 1M commercials that were released when the 1M was already on sale. "Then we got on a side topic about the last M project, the 1M Coupe. We learned some interesting things. The VO (valencia orange) color was a future color in the BMW pipeline. Dr Kay Segler liked it so much he insisted they make the 1M is that color. Then they knew they would have to offer a white and black color - bc every car looks good in those colors. He told us how they really wanted to offer different color stitching accents for each color - but they were tight on a budget plus they were really running out of time. So only one interior color was approved. Same went for some of the other "things" M wanted to do to the car. Like functional vents in the front fenders(the crease), they wanted to produce a carbon fiber roof, but they were running out of time. So in the end their hands were tied by time and budget. They told us how well the 1M sold given limited coior choice and being that the car was only offered in a manual transmision. The car sold far better than BMW ever thought it would. This confirms that there will be an M2 in time." One thing I forgot to write in my ///M Studio tour was ///M also really wanted to offer a blue and maybe a grey or silver.. but there was not the budget for it. So they kept things simple with just the three colors they went with. hlmiii - thanks for telling us this story again. Remember when we first saw this car and flipped? Can we suggest this as a sticky? Here are some prototype pics from my collection. I really do not remember a Blue 1M testwagen. All the ones I saw were always in Sedona Red or in Jet Black or BSM. by accountants for lots of reasons , but I'm so happy Dr Segler is not one of them. Last edited by ozinaldo; 05-18-2013 at 05:04 PM. While were on the subject of renders. Remember these? Scott said that if the 1M sold out wed get a vert...Scott lied, and I still havent forgiven him. Here is something that I discovered a while ago that is right on topic. The VO 1M that was used on brochures and press photos is a very early prototype. It is officially a 135i and not yet a 1M. I'm talking about this car. Here are full-sized images of the engine bay where you can see VIN stamped on the shock tower. Before proceeding, these are 5mb photos. ^^That is very interesting. I wonder what ever happened to this early prototype. Also curious its a euro 135iS when they never made such a car for Europe AND that the car was built in 2008(!) and was BSM!! Well... someone at BMW painted it VO. @SickFinga(or should I call you Mr Holmes ) : Nice info. Thanks. Colour : Black and not VO. I guess the 1M in the pictures is a 1M, but BMW simply allocated an 'old' VIN. Probably the VIN allocator did not feature yet a 1M category at that time, so they pigeon-holed this prototype in an existing category: 135i.